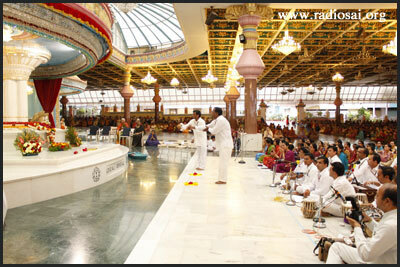 The alumni of the Sri Sathya Sai Educational Institutions gather at the Divine Lotus Feet of their loving Lord at every possible opportunity. So was the case this July when, what started of as a Prema Bandham meet of alumni of North America turned out as a congregation of all those alumni who could make it to offer their love to Bhagawan, irrespective of where they live. To refer to the Prema Bandham as an alumni reunion would steal it of all its poetic beauty and emotional flavour. It is more of a homecoming for these men for, their life's paths are mere sojourn from their true abode which is the lap of their loving Mother Sai. 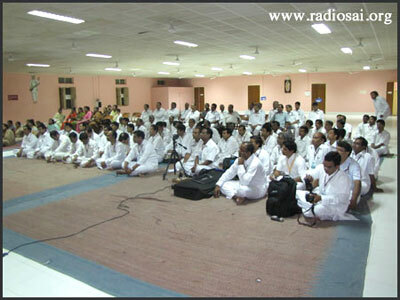 That is why the student's of Bhagawan strongly believe, 'once a student of Swami, forever a student of Swami'. Bhagawan in all his love says, “My students are My property.” Prema Bandham is only an instinctive response to that irresistible call of love. Coming now to the latest meet which was held on July 30-31, 2011, this was a combination of inspiring talks by elders and heartfelt offerings of the group. 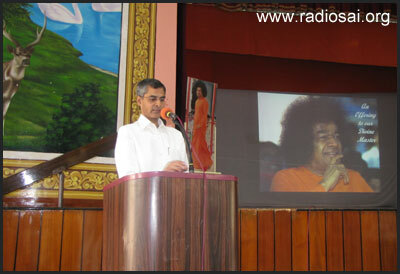 On the morning of July 30, the alumni were addressed by Dr. Naren Ramji, the Registrar of Sri Sathya Sai Institute of Higher Learning (SSSIHL), Deemed to be University. He explained to the alumni about the vision of the Institute and more importantly how the alumni can be involved with the Sathya Sai education mission. 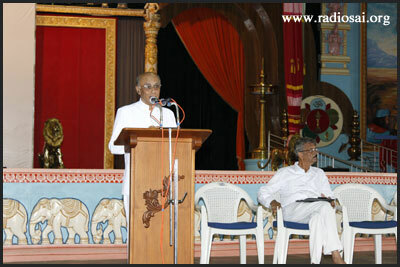 On the evening of July 30 the group invited Prof. G. Venkataraman to address them. 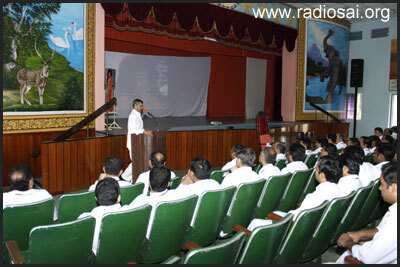 This session was held in the Conference Hall and the eminent professor spoke to them about how to respond to God's love, a theme apt for the occasion. Hear now the profound talk of Prof. Venkataraman which was augmented by his characteristic humour. The alumni also had the opportunity to sing bhajans on the morning of July 31 in the holy precincts of the Sai Kulwant Hall. Later they were addressed by two more elders who were invited to share their thoughts with the group and advice them. The first speaker was Mr. S.V. Giri, former Vice Chancellor of SSSIHL. Elaborating on the challenges faced by Bhagawan's students and devotees, he gave them valuable guidance as to how to face them. This talk was followed by that of Prof. Anantharaman from the Department of Management Studies, SSSIHL. 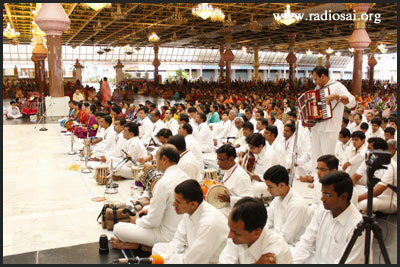 He is also serving Bhagawan in the capacity of Media Coordinator of the Sri Sathya Sai Central Trust. 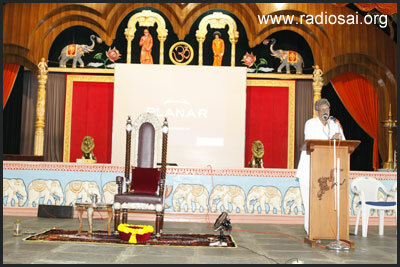 Prof. Anantharaman offered the alumni many salient practical advice and guidance. 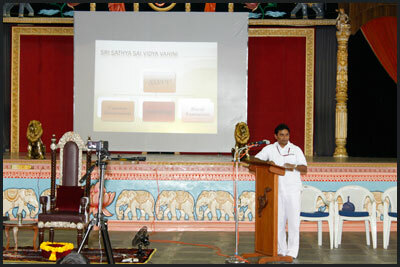 This session in the Poorna Chandra auditorium concluded with a presentation on the Sri Sathya Sai Vidya Vahini project. Mr. Sathyajit Salian and later Mr. Sharath briefed the audience on the project and its progress. 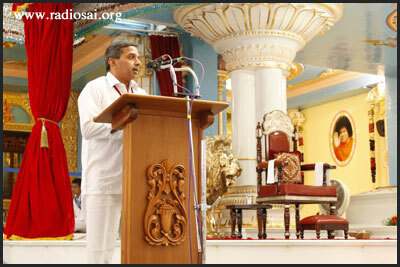 Mr. Salian heads this project which has the bounteous blessings and, the direct guidance and inspiration of Bhagawan. 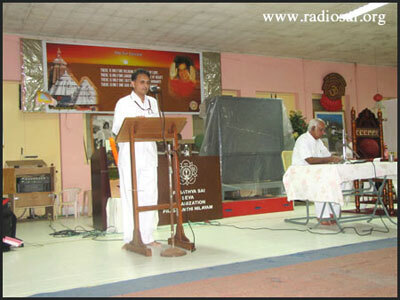 Mr. Sharath is an alumnus and a school topper from the Sri Sathya Sai Higher Secondary School in Prasanthi Nilayam. 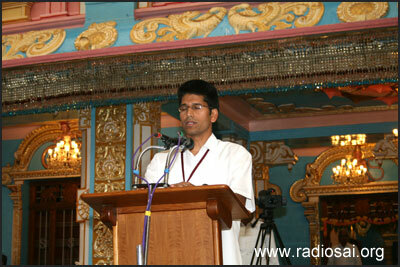 He is one of the coordinators and a member of the core group of the Sri Sathya Sai Vidya Vahini team. 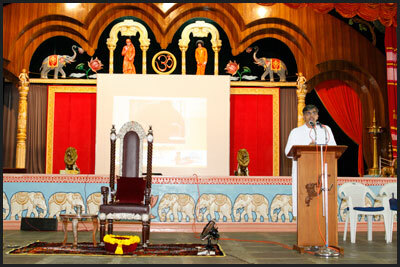 To know more about this project of Bhagawan listen to this presentation. On the evening of July 31, the Prema Bandham group made a soulful offering of speeches and songs to their Divine Master in the Sai Kulwanth Hall, the holy place that is filled with delightful and moving memories for them. It was a wonderful evening of moving recollections and expressions. For every alumnus who was part of this two-day festival of love, it was an occasion to recharge and rededicate their lives to their beloved – the One who loved them unimaginably and most importantly taught them a way of life where love, service and happiness formed the cornerstones of their existence.